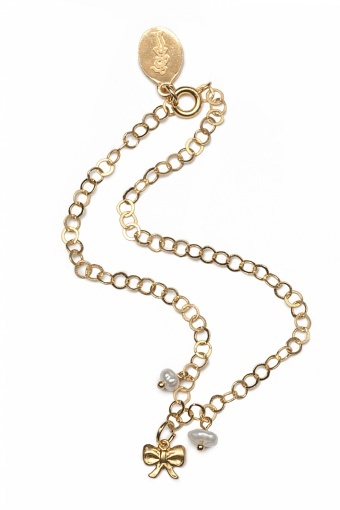 Handmade Sweet Bow & Pearls bracelet gold from Petra Reijrink, especially made for TopVintage! 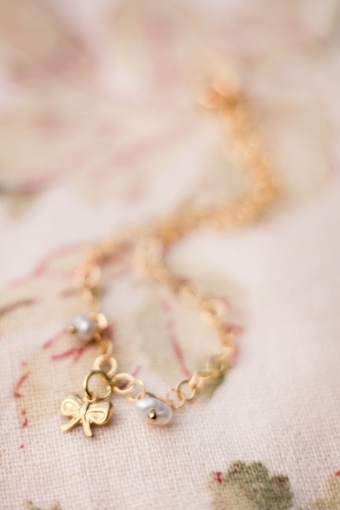 Delicate vintage inspired gold-plated bracelet (nickelfree) with a cute litlle bow and two litlle pearls. 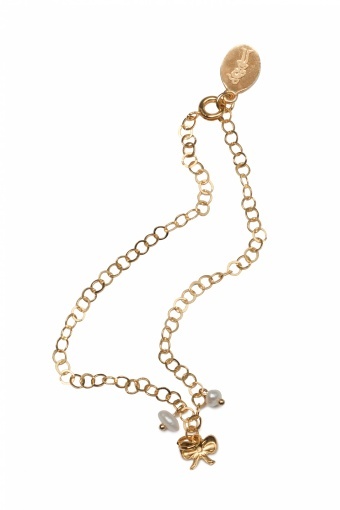 The chains of this bracelet are spacious enough to adjust the height very easily.